Jasmina is an extremely friendly and helpful person. You can ask her really anything. She welcomed us with local cookies and offered us a drink. 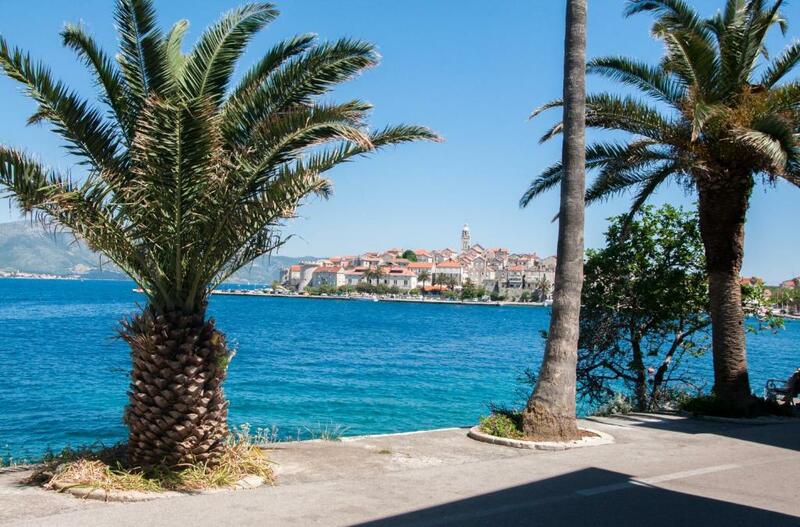 The apartament is near the old town and there is a bench near the entrance with stunning view to sea, mountains and the town. If it comes to our apartament I liked refrigerator the most which cooled our drinks extremely well. Blinds were also nice convenience. The hostess welcomed us with a drink and local fig pastry. The location was perfect and peacefull, with a cute little beach across the street. Although our experience was not that good I must say hosts seem to be nice and welcoming. We were offered with drinks and treats upon our arrival. Bed was comfortable and room was really clean. Location is perfect because it was close to old town and sea is right on the other side of street. The views! Jasmina greeting us on arrival with a cold juice and some lovely homemade crostini. It is really great when you are travelling in such hot weather to have a cold drink when you arrive. It doesn't cost anything to have a cold jug of water and glasses waiting in the fridge in your guests' rooms when they arrive and it would be good if all hosts did this. We also appreciated being able to check in early. Can swim just down the road. Very friendly people. Everything perfect, reception, location, equipment, cleanliness and above all Jasmine attention which is top, treating us with some pancakes and fruit at arrival and keeping our luggage on the check out day. Thanks! 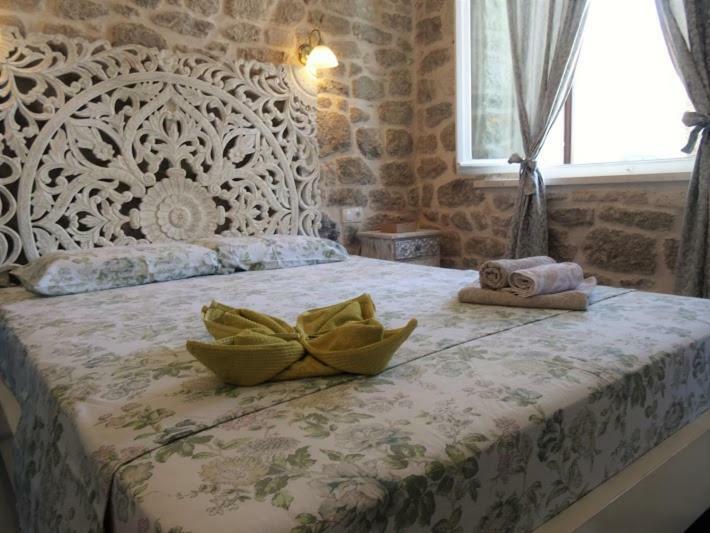 Lock in a great price for Apartments Jasmina - rated 8.8 by recent guests. One of our bestsellers in Korčula! 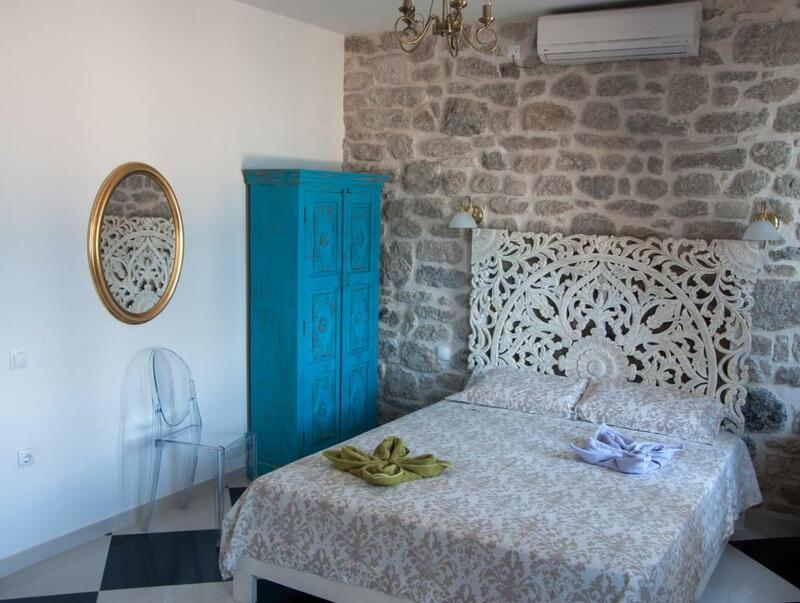 Offering air-conditioned studios and rooms with a pebbly beach right in front, Apartments Jasmina is 250 yards from Korčula’s Old Town. Free Wi-Fi is provided in this protected historic landmark. Most accommodation units come with sea views, while studios comprise a kitchenette with a dining area, satellite TV and a private bathroom. Some units also feature a furnished patio either with a sea or a garden view. Guests staying in rooms have access to a shared bathroom. The nearest grocery store is 200 yards away. Shops, bars and restaurants can be found in the Korčula’s vibrant centre, where guests can visit Marko Polo’s birth house or arrange excursions to nearby islands and Mljet National Park. The Main Bus Station is a 10-minute walk away from Jasmina Apartments. 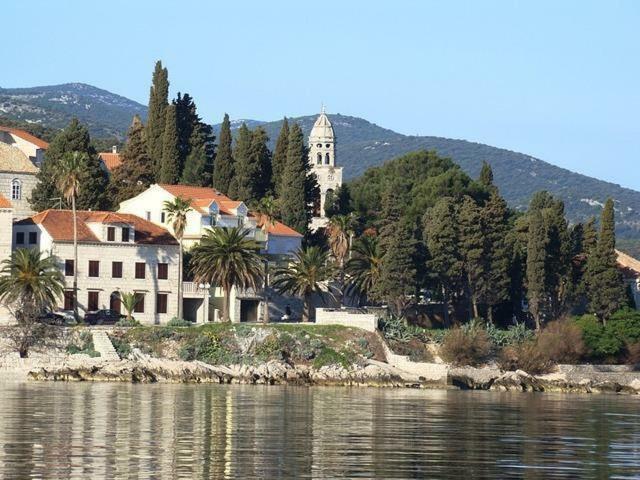 The Ferry with links to Dubrovnik can be reached within 500 metres, and the Dominče Ferry Port with links to Orebić is at a distance of 1.2 miles. Shuttle service is available at an additional cost. Apartments Jasmina has been welcoming Booking.com guests since 18 May 2012. When would you like to stay at Apartments Jasmina? This air-conditioned room offers a sea view. 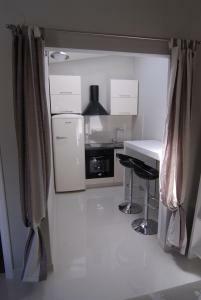 Guests have access to an external bathroom that is shared with 1 other room. Renovated in May 2013, this air-conditioned studio is set in a separate building behind the main house. It features a TV, a kitchenette with a dining area and a bathroom with shower. In front of the studio, there is a terrace with sea views, shaded by an arched roof. 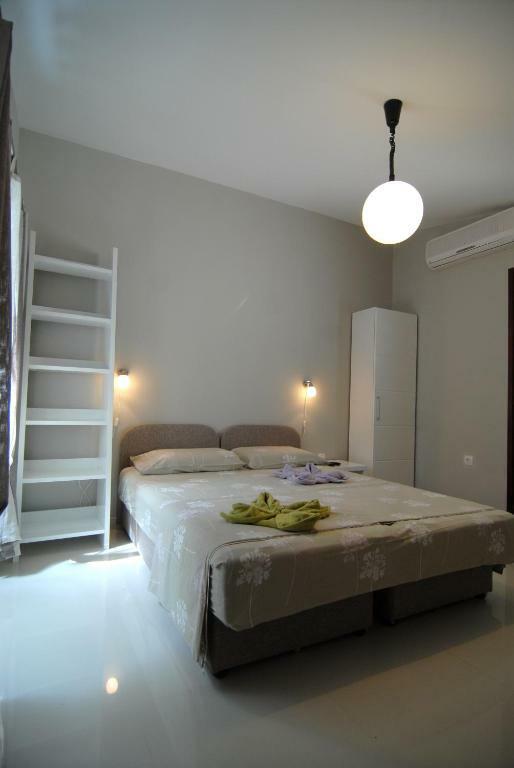 This air-conditioned studio offers a sea view and features a TV, a kitchenette with a dining area and a bathroom with shower or a bathtub. The studio is located on the ground floor. This air-conditioned studio is located on the ground floor and features a furnished patio, a flat-screen satellite TV, a kitchenette with a dining area and a bathroom with shower or a bathtub. House rules Apartments Jasmina takes special requests - add in the next step! Loved the location! Our host was wonderful and greeted us on arrival with a lovely welcome refreshment to view the sunset from a waterfront bench out front. The view out the front door is spectacular, the old town of Korcula on the bay! Jasmina was so sweet and friendly. Nice touch to have a glass of local wine and fresh baked cookies upon arrival! The location was excellent. Not right in old town so quieter and out of all the tourist areas A very easy walk to restaurants, old town and the ferry. Definitely good value. Just be aware that some of the units are shared bathrooms. This would be great when traveling with a group of friends but worked out fine for our short stay. Also, the bed was very firm but that seemed to be the case everywhere in Croatia. The location was wonderful. Right across from the water. We weren’t in the old town (but we didn’t want to be) and the view of town from where we stayed was amazing. Our host was very kind, offering us a welcome drink and treat. We enjoyed our stay. There were no quilts, only one blanket which was not enough for us. There were also just two small pillows, one for each person. To sum up, sleeping was not so comfy as we expected. Moreover our bathroom wasn't depicted on the offered photos so I was a bit disappointed seeing tiled shower which is not my favorite. Finally, the smell from the bathroom wasn't good. We were on week long trip all over the Korcula and this is only time we had kinda bad experience. Only reason we booked this place is because it advertised free parking on site and that's not truth at all. We wanted to be close to Korcula old town and it was important to us to have car parked in safe spot, but when we arrived, it turned out host has no parking on site at all. We had two options, to park on remote area with no lights or any kind of protection far from apartment or to drive in public garage, which is 1km in distance, 15-20 minutes walk through steep streets. Another thing that's important but not prominently featured is that room we booked is with shared bathroom. I'll blame this on us because it is pointed under content section, with small font size, but still, people should be aware of this. Thing I'm most disappointed with is that Jasmina begged me not to leave bad review. They were aware of their false advertisement and I gave her my promise not to mention parking or bathroom, but only if she update information on their booking page. She said they didn't know information are wrong and promised they'll fix that asap. It's been a month after our reservation and nothing changed. Property still advertise free parking on site which is false and I'll definitely report this to booking.com Door lock was broken and we couldn't close room doors without locking it. Room was really small with just basic furniture. No TV, no trash can. Overall experience with this property was not that good and I wouldn't recommend this place to anyone. No tea/coffee facilities - this is an essential for us and we had just assumed they would be available - we will always check this in future. Pictures didn't exactly reflect the room. When asked about it, we were informed that we can leave. Not very clear. Leaking shower with no intention to repair. Broken hair dryer. First contact with the owner.